In business, people call it competitive analysis. They as well call it spying or snooping. It’s fun to poke around and gather data on the competition. Would you like to get a good read on your competition from a search engine optimization perspective? We can help. We’ll dive in and come back with the data that you crave. 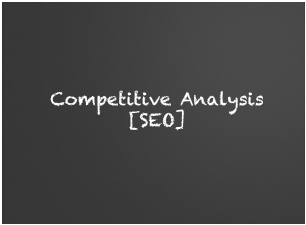 For a FREE consultation on SEO and competition, call 800-490-3350.